As one season draws to a close, plans are already underway for the next. Manager Gary Naysmith has started reshaping the squad and we're pleased to announce that Connor Murray is the latest player to agree a new deal at Palmerston. The pre-season schedule is well prepared, our friendlies start at Annan on Saturday the 30th of June (2pm). 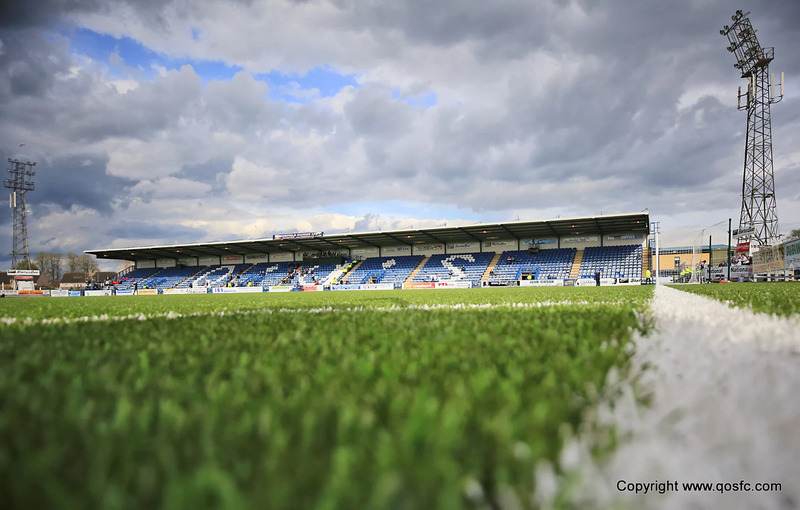 We are also away to East Fife on Tuesday the 3rd July (7.45pm). The two away matches are followed by home games against Stranraer (Fri 6th July 7.45pm) and Hearts (Wednesday 11th July 7.45pm). Last season was challenging on and off the park and the one to come will again prove challenging, but as we embark on our centenary anniversary we want to make it one to remember. As we celebrate a special birthday, let's get back to our roots and back to what matters football! We shouldn't forget and undermine that we are the most successful team in the region and have established ourselves as a regular Championship side, competing with some of the best teams in Scotland. We have been around for 100 years and are a club steeped in history, with league titles, cup trophies and European football to our name. Together we can build future memories. Together we can achieve success. Together we can keep moving forward. Children are the future so we will continue to run our holiday soccer camps, we will continue with our school visits delivering our specially designed programme, we will continue to run clubs for school kids during the week in the Arena, we will continue to run our pre-match soccer group ahead of every home game and we will continue to offer them a cheap way to watch Championship football with our Junior Blue ticket. All we ask in return is for the Kids to continue to support us and help spread the good name of Queen of the South Football Club. Together we can, increase our chances of making it to the top flight. Bring along a friend or bring along an adult and help us fill the stadium for home games. A full stadium creates an atmosphere for everyone to enjoy and lifts the players on the park. Off the park we have great facilities at the Arena and the Academy at King George V, while these generate an income; we need to encourage more people back to the terraces. Over the years Queens have kept the ticket prices at the same level, and are one the cheapest in the Championship. With a decline in income from ticket sales, we have consulted Shareholders and the SLO Committee and have made the decision to increase entry slightly for season 2018/19. An adult ticket will now cost £18.00 with a concession and student ticket priced at £10.00 per match. Despite the increase we will still be one of the cheapest in the division. Of course buying a season ticket is still the best financial option and helps the club at this time of year. A full season ticket will cost £285 or £160 for concessions, reducing the price by £2 per match. Children 16 and under will still have the opportunity to watch each game for a pound, should they sign up for a Junior Blue ticket at £18.00 for the season. That's a massive saving of £4 per match. We are also continuing to offer a discounted ticket for students or for the 16-21 year old supporters. They can take in the games for a fiver, with a £90 season ticket. That's half the price of an on the day ticket. Like the Junior Blue ticket price, accessible prices have been frozen. Positivity off the park creates positivity on it, so in this special year for the club, let's get together and make Palmerston a place to come, let's fill the ground and back the team. Stephen Dobbie, Callum Fordyce and Kyle Jacobs are amongst those who have already pledged their future to the club, so along with them show your own commitment to the club by purchasing a season ticket. Details of how to purchase will be published in due course.